In 1999 after graduation from Aktau State University named after Sh.Yessenov (Physics&Math Department), Anargul Kuntuganova started her carrier in Kazakhstan School of Publiс Health in Almaty as a lecturer on information technologies for students of Master programs and participants of short-term courses. During the employment Ms Anargul Kuntuganova was involved in many international projects funded by such international organizations like WHO, UNICEF, British Council, USAID, AIHA and Soros Foundation-Kazakhstan. 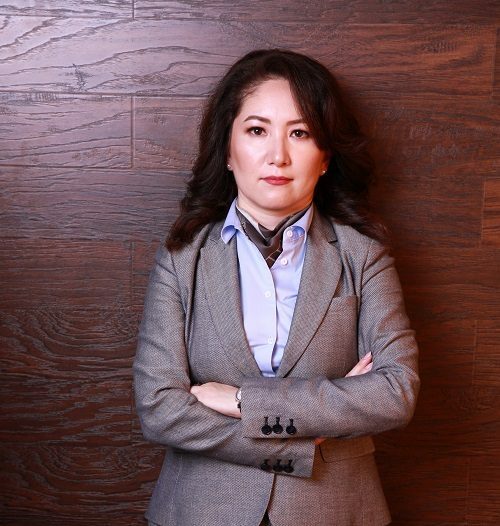 From 2007 to 2015, Ms Kuntuganova held various positions at the National Research Center for Maternal and Child Health (NRCMCH), which is now part of the Corporate Fund “University Medical Center” (Astana). Within the period, she took a part in several pilot projects of the National Medical Holding in the field of hospital management: trust management by Austrian company Vamed Management und Service GmBH, implementation of JCI standards on quality and patient safety, opening of educational center on endovideosurgery, introduction of Balanced Scorecard system, and implementation of an integrated risk management system, etc. During the employment Anargul was a member of faculty staff in NRCMCH, lecturing at short-term training courses and long-term programs organized by NRCMCH. From 2010 to 2012 Ms Kuntuganova studied 2-years International MBA program on healthcare & hospital management at Frankfurt School of Finance and Management (Germany). In 2016, Ms Kuntuganova joined the central office at the Corporate Fund “University Medical Center” (UMC), a not-for-profit company managing 4 hospitals (NRCMCH, RDC, NCCR, NSCOT), as a head for risk management division to coordinate the integrated risk management in all the hospitals together. The effectiveness of the JCI standards on the results of clinical activity, and on operational processes, the perception and understanding of the importance of risk management system, incident reporting system, etc.